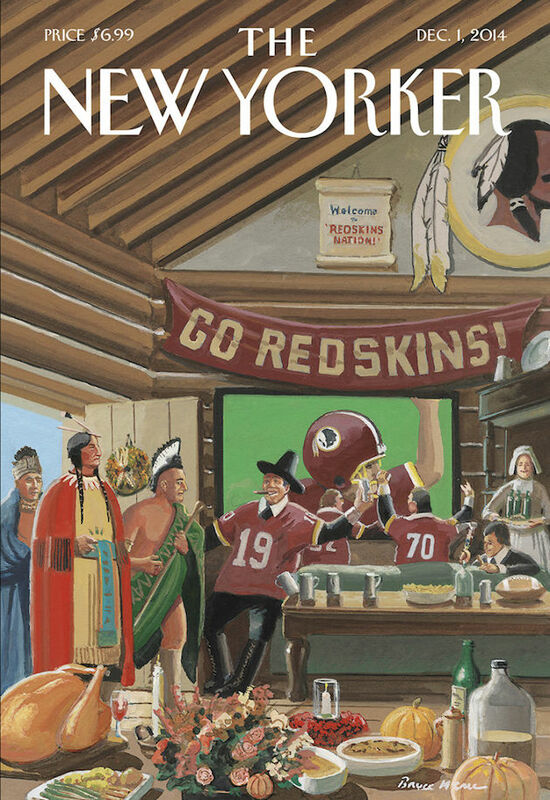 The New Yorker is taking aim at the Washington Redskins' nickname with the magazine's next cover. The cover for the Dec. 1 issue is a cartoon by Bruce McCall, depicting Native Americans celebrating Thanksgiving with Pilgrims in Redskins jerseys. The New Yorker adds to the growing media criticism of the nickname. South Park lampooned the controversy earlier this year, and Slate and The MMQB don't even publish Washington's nickname.